Many adults around the world deal with hypertension, also called high blood pressure. There are ways to treat the condition, including lifestyle changes or medications. Ever wonder how to lower blood pressure naturally? Sodium has always been the blood pressure bogeyman—shake most of it from your high blood pressure diet and you'll be safe. But research now shows that it's just as important to choose foods naturally low in sodium and high in at least two of the three power minerals: calcium, magnesium, and potassium. 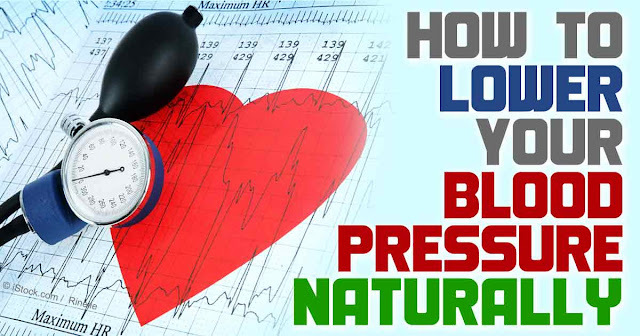 Read on to learn more about natural foods to lower blood pressure naturally. Cinnamon is another tasty seasoning that requires little effort to include in your daily diet, and it may bring your blood pressure numbers down. Consuming cinnamon every day may lower blood pressure in people with diabetes, according to a paper in the Journal of Clinical Nutrition. Include more cinnamon in your diet by sprinkling it on your breakfast cereal, oatmeal, and even in your coffee. At dinner, cinnamon enhances the flavor of stir-fries, curries, and stews. Flaxseed is rich in omega-3 fatty acids, which have been found to lower blood pressure significantly. Flaxseed may protect against atherosclerotic cardiovascular disease by reducing serum cholesterol, improving glucose tolerance, and acting as an antioxidant. You can buy many products that contain flaxseed, but a better bet is to buy ground flaxseed or grind it yourself in a coffee grinder and add it to your home-cooked meals. The best part about flaxseed is that it can be stirred into virtually any dish, from soups to smoothies to baked goods. Store flaxseed in your freezer to retain optimum potency. You can add fresh garlic to a number of your favorite recipes. If the flavor is just too strong for you, roast the garlic first. And if you simply can’t eat the stuff, you can get garlic in supplement form. Ginger may help control blood pressure, as it has been shown to improve blood circulation and relax the muscles surrounding blood vessels. Commonly used in Asian foods, ginger is a versatile ingredient that can also be added to sweets or beverages. Chop, mince, or grate fresh ginger into stir-fries, soups, and noodle or vegetable dishes, or add it to desserts or tea for a refreshing taste.